During World War 2, scientists were required to develop new offensive devices and counteract enemy advances in weaponry. Alan Butement was in some of the many scientific teams, involved in the field of electronic engineering development in Britain. William Alan Stewart Butement was born in Masterson New Zealand on the 18 th of August 1904. At age 8 years (in 1912), the family moved to Sydney Australia. A year later, the family moved again, to London England. He went to the University College School, graduated, then studied at University College, University of London. He studied physics, chemistry and mathematics. He attended lectures by Edward Victor Appleton and received his Bachelor of Science degree in physics in 1926. After 2 years of postgraduate research, Butement joined the Signals Experimental Establishment (SEE), at Woolwich, as a Junior Scientific Officer in 1928. In 1931, Butement and P. E. Pollard, at Woolwich, were considering the detection of ships at sea. They discussed the Fitzeau method of measuring range with pulses of light and a rotating shutter. They proposed a 50 centimeter wavelength pulsed radio transmitter, but the Royal Engineer and Signals Board informed them that “there was no War Office requirement”. They worked in their spare time, and got a set working. In their initial tests, they detected reflections from the metal base of a mast in the Woolwich Common. Then they detected a 6 foot by 2 foot sheet of corrugated iron, 100 yards away. They reported these results, but there was still “no requirement”. In 1936, a small cell of Army scientists was established at Bawdsey, working on coast defence Radar. The team was lead by E. T. Paris, and included Butement, P.E. Pollard, and H. S. Young. By 1937, an experimental gun-laying radar was working on a 6 meter wavelength, and giving accuracy to within 25 yards. By 1938, a GL set was ready for production by Metropolitan Vickers and A. C. Cossor, and by 1939, a total of 59 GL sets had been delivered. However, they were unreliable and inaccurate, and were superceded by the GL III centimetric Radar and the American SCR-584 set. In 1939, for coastal defense and detecting ships, E. G. Bowen developed a 1.5 kW pulsed Radar operating on 1.5 meters, and W. Eastwood used yagi aerials to detect ships at a 2 mile range. Butement mathematically calculated that to get a 10 mile range, would require 600,000 kW, impossible at that time. His calculation method became a standard and was known as the “Radar Range equation”. Butement devised a “split-beam” method (based on their 1931 experiments) using a higher gain aerial, that enabled targets to be located some twenty times more accurately than previously. A prototype was built by A. J. Oxford and W. Eastwood, and they managed to track the daily Harwich ferry. During an inspection of the Establishment by Churchill and Watson-Watt in June 1939, they were able to track a flying boat at 25 miles range. The next day, Admiral Somerville “arrived” to view the equipment, for inclusion on RN ships. The CD radar (Coastal Defense) was adapted using this principal, for U-boat detection, and became the CDU (Coastal Defence U-boat). 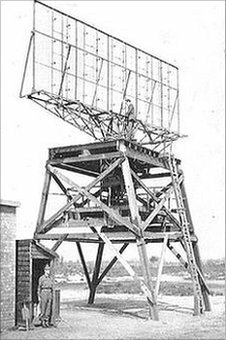 It was found that it was also able to detect low flying aircraft, so they were slightly modified and became the CHL (Chain Home Low) radar. 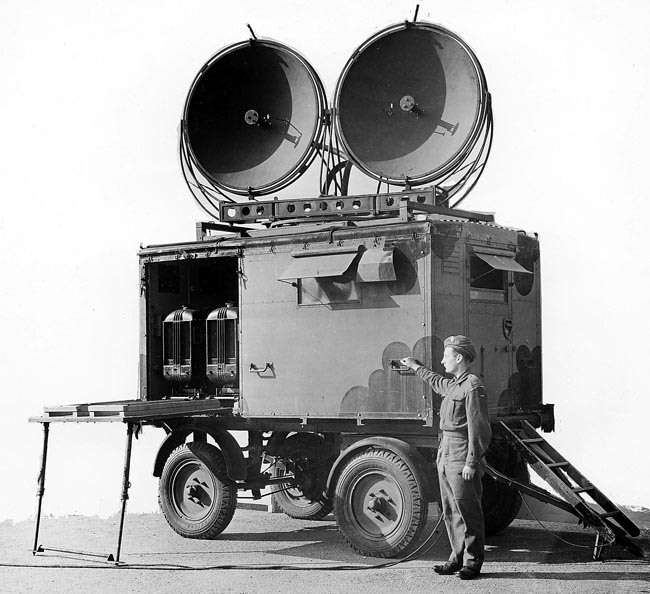 For night fighter aircraft, GCI (Ground Controlled Intercept) radar, was initially set up with a CHL. Butement took charge of an army group that developed a highly successful radar control system for the searchlights used by Britain’s coastal defence gun batteries. He also invented what became the standard method of controlling fire against shipping, using radar echoes from the splashes caused by shells hitting the sea. In the First World War on the Western Front, there had been few occasions to use wireless for the co-ordination of tank movements. In 1931, Brigadier Charles Broad formed a complete brigade of tanks, and worked out a “drill” for rapid tactical movement, which was based on wireless, instead of visual signals. The First Tank Brigade was formed under Brigadier Percy Hobart in 1934, and held exercises on Salisbury plain, and he believed that wireless should be understood by all officers, rather than just signals specialists. The scientists at Woolwich were tasked to provide a wireless set for individual tanks on the move. This was to be the Wireless Set Number 9, and to be physically able to be mounted in the turret counterbalance, measuring 42 inches by 12 inches by 16 inches. The set had to be stable in frequency, when the tank was in motion, have several frequencies, and it was realised that a large number of crystals would be required. During those autocratic times, design and construction was by the SEE, and industrial input was only required after the design was completed. After Dunkirk, a new radio was required, which had a main transmitter and receiver, known as the “A” set (for regimental and squadron communication), and a second transmitter and receiver known as the “B” set (for inter tank commuication), and also an intercom (for crew communication). Hobart and Butement conceived the idea of an “A” and “B” set in 1934. The possible radios were, the WS No.9, (too large for some tanks), the WS No.11 (inadequate performance), and the WS No.14 (too large and poor range). It was decided to design a new set, called the WS No.19. A prototype was designed by SEE, and another prototype designed by PYE. The PYE set was chosen, due to ease of production and lower cost, and it entered production in 1941. Due to the rapid development and production, there were some problems. In the Western Desert, a capacitor failed in the power supply, due to the high temperatures. Butement and the Ministry of Supply, obtained a replacement from the United States, had them flown to North Africa, and fitted to all tanks. Several other faults were corrected, and incorporated into the WS No.19 Mark II, in March 1941. Large scale production ensued in Britain, and WS No.19 copies were made in Canada, the United States and Australia. In 1942, the Japanese captured the rubber growing areas in the Far East, and the War Office realised that there would be a shortage of cable for field trunk communications equipment. Butement was the Assistant Director of Scientific Research (Radio and Radar) in the Ministry of Supply, and was given one weekend to provide a solution. He followed some contemporary ideas on the possibility of applying centimetric wavelengths to speech radio. In 1931, STC had tested a cross-Channel two way radio telephone link on a wavelength of 18 centimeters, and in 1933 they had set up a permanent R/T link between Lympne and St. Inglevert, on a wavelength of 17.4 centimeters. Butement also considered some research done by Baudot in 1874, regarding the interleaving (multiplexing) of data. Butement proposed a radio link, using 8 channels, operating on a wavelength of 6 centimeters, and using parabolic mirrors to generate a narrow beam. If the Germans intercepted the beam, they would assume it was Radar. The Appleton Committee and the war Office approved the proposal. Butement was assisted by A. J. Oxford, E. W. Anderson, and J.G. Macmillan. The result was the WS No.10, using multi-channel, interlaced, pulse code modulated speech channels, and intended for hilltop to hilltop communications. The set was tested between Ventor (on the Isle of Wight) and Beachy Head (in Sussex), 70 miles apart. After the Normany landings, a Ventor to Cherbourg link was set up. Shortly after the landings, a gale damaged the under channel telephone cable, so the link was immediately put into operation, and a second link was established to General Montgomery’s headquarters near Caen. Telephone cable laying could not keep up with the Allied advance, so the WS No.10 link was extended to Belgium. Operators had not been trained in the use of this new equipment, so J. G. Macmillan was put into uniform, and trained signalers in France, who previously had only handled line equipment. The WS No.10 followed Montgomery to Luneberg Heath, where he accepted the surrender of the northern German forces. By that time, there were 10 links stretching back to Brussels. Before the war, British, American and German scientists considered proximity fuses for torpedoes, bombs and shells, and several patents had been filed, but none explained a realistic mechanism. Blackett suggested a photo-electric fuse for a bomb or a rocket. Rothwell designed an acoustic fuse for a bomb, intended to be dropped into enemy aircraft formations. In 1939, Butement was transferred to the Ministry of Supply, to the Air Defence Experimental Establishment, in Christchurch, Hampshire. He wrote a paper proposing a guided rocket, to be directed to an aircraft target, and detonated by a radio operated fuse. The Radar Applications Committee considered the weapon was too complex to develop at that stage of the war, but further thought should be given to the fuse. In 1940, a meeting was held at the Projectile Development Establishment at Fort Halstead, to discuss the best method of detonating a radio fuse. Present were several people, including J. Cockcroft, A. D. Crow, and Butement. He proposed that the shell and aircraft be plotted on Radar, and a radio signal, detonate the fuse at the desired moment. He also proposed an alternate method, whereby the ground Radar signal and the reflected Radar signal, be compared and the heterodyne cause detonation at the desired distance. The second method was simpler. Butement, E.S. Shire, and A. F. H. Thompson further discussed the idea, and decided that the ground radar was not required, as the target would affect the oscillator in the shell, and cause detonation. Butement also proposed that the skin of the projectile actually be the aerial, and have the radar set inside it. A prototype fuse was constructed, and tested against a sheet of tin plate. Electrical & Musical Instruments (EMI) then made some fuses for testing. Butement and his team placed fuses on top of a 60 foot tower at Christchurch, and a Fairey Battle aircraft was ordered to fly at various heights over it. The results were measured, and the fuse was found to be effective at distances of over 100 feet. The team moved to the rocket range in Aberporth in South Wales, and fuses were mounted in 3 inch rockets. A plywood glider was covered in aluminium foil, and suspended beneath a barrage balloon. The rockets were fired at the glider to pass at various distances, and half of them were successful, as indicated by a puff of smoke when the fuses operated. 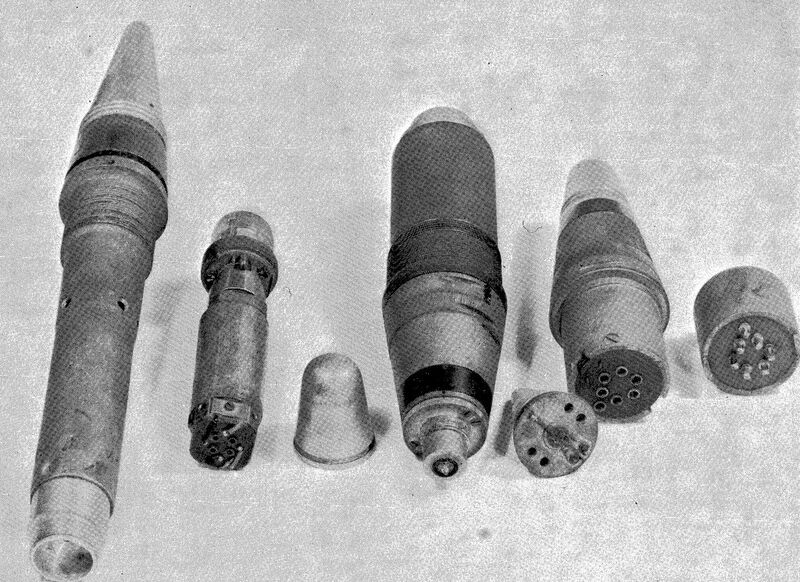 Cockcroft and PYE Radio performed tests on valves, that proved that they could be ruggedised to survive firing from a gun. In 1940, the Tizzard Mission took the proximity fuse to the United States. Vannevar Bush, Director of the Office of Scientific Research and Development, asked Merle Tuve to join the National Defence Research Committee, and take charge of the project. Contracts were negotiated, to test and improve the fuse, and ruggedise the battery and valve to withstand high acceleration, so that it could be fired from a gun. Contractors were the Bell Telephone Company, Raytheon, Western Electric, Hytron, and Toronto University, which developed the battery. At one stage, a total of 700 scientists were working on the fuse. The final fuse design was accepted in 1941, and a bomb was detonated in April 1941, when 150 feet above the sea. In August 1942, guns on the USS Cleveland succeeded in hitting aircraft targets. Crosley and Sylvania were used for manufacturing. In January 1943, the first Japanese aircraft was brought down with a shell fitted with a proximity fuse. The fuse was kept secret in Europe, until it was used against the V1 in Britain in July 1944. The US Government filed a Patent in December 1943, on behalf of Butement, Shire, and Thompson. In 1965, Varian claimed prior invention of the fuse, but the claim was dismissed. Sonobuoys with a single hydrophone have been in use since the Second World War. Recognising the shortcomings of the existing systems, Butement and H. d'Assumpcao, in 1964, proposed a much more sophisticated sonobuoy, in a published report (Australian Defence Scientific Services Report RD/64 June 1965, Long Range Submarine Detection). 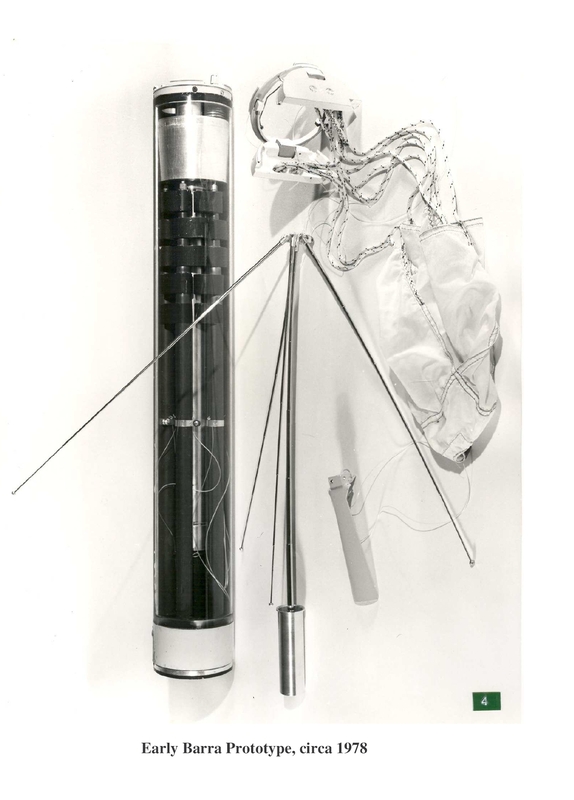 This report outlined a new “directional” sonobuoy concept, in which Butement envisaged a cruciform array. d'Assumpcao later modified the configuration to 5 radial arms. BARRA is an Aboriginal word meaning “listening”. The report defined passive operation (listening), and also generating an acoustic stimulus (active detection) to reflect from the submarine and be picked up by the sonobuoy. In each case, the received signals are transmitted to an aircraft, to determine the submarine position and direction of travel. Between 1964 and 1972, feasibility studies were made. In 1972, development contracts were awarded to five companies, AWA for the electronics and compass, Electronic Systems and Management Services (ESAMS) for the airborne component, Commonwealth Aircraft Corporation (CAC) for the aircraft mechanical structures and air deployment, Plessey for the hydrophones and battery, and Cable Makers Australia (CMA) for the underwater suspension cable. In 1975, Australia and the UK agreed to joint development and manufacture, where Australia designed and manufactured the BARRA sonobuoy and the UK designed and manufactured the airborne receiver and processor. The acoustic processor, designated the AN/AQS-901, was manufactured by Elliot Bros (later GEC-Avionics), in Rochester, UK. This processor has flown in both the UK Nimrod and RAAF AP-3C Orion aircraft. Between 1977 and 1982, there was the establishment of production facilities for high reliability sonobuoys, led by AWA along with the other four companies. The BARRA Sonobuoy entered operational service with the RAF in mid 1980 and the RAAF in early 1981. It was used by the RAF in the Falklands war in 1982. For over 30 years BARRA has been in service, and is still in use by the RAF and the RAAF. In 1946 the British and Australian governments established a project to develop guided missiles, at Woomera in South Australia. 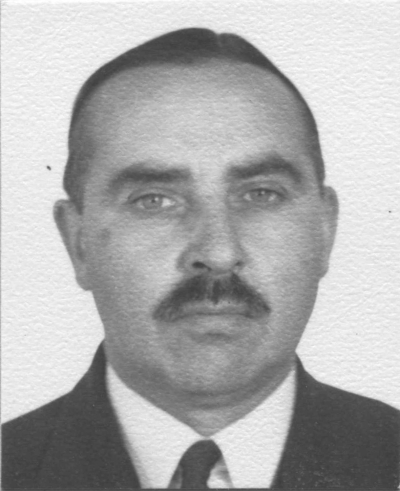 Butement was selected as deputy-chief of the project and moved to Australia with other members of the British team. This became the Long Range Weapons Establishment, based at Salisbury. Some months after his arrival, he was appointed chief superintendent of the project. In April 1949 Butement took up a new position of chief scientist within the Australian Department of Supply and Development. The project grew, encompassing aeronautics and propulsion, and in 1955 became the Weapons Research Establishment, the head of which was answerable to Butement. Under Butement’s leadership, the Defence Scientific Service contributed to Australia’s military research effort. The civilian CSIRO (Commonwealth Scientific and Industrial Research Organisation) was barred from doing defence-related work. Butement was no longer a hands-on scientist but an administrator, however he continued to throw up ideas for others to pursue, and to encourage projects. Among the developments that he claimed to have himself initiated were a rocket engine that used a semi-solid paste extruded into the firing chamber as propellant, and the Malkara anti-tank guided weapon that was adopted by the British and Australian armies as standard equipment. Butement was one of three observers present on behalf of the Australian government, at the British atomic weapons tests, at the Monte Bello islands, Western Australia, in October 1952, and at Emu Field, South Australia, in 1953. Butement led the party that identified Emu Field and Maralinga as suitable sites for atomic weapons tests on the Australian mainland. In 1966, not wishing to transfer to Canberra, he resigned his position to become, for a five-year term, director of research for Plessey Pacific Pty Ltd, the Australian subsidiary of the British electronics manufacturer. Butement was awarded the OBE (Order of the British Empire) in 1946 in Britain, and the CBE (Companion of the British Empire) in Australia in 1959. Throughout his life, Butement loved working with his hands. In addition to his professional skills in electronics, he was an enthusiastic ham-radio operator and an adept carpenter, metalworker and mechanic. Butement died on 25 January 1990 at Richmond, Melbourne.